Experienced driver, but out of it for last 10 years, working on getting back out there! Technically I'm not starting my career out as a lease op, I have 15 years experience, but been out of the game for 10 years, also I did previously do a lease op with another company and actually made pretty good money back then. I have a pretty good business head on my shoulders via a lot of years of self employment, and I do know how to work a lease, run and operate smart and make good money at it. Primes lease program is actually way better than the one I was involved in previously, and I did well there. The only reason I quit leasing and got out of trucking before was that I took the money I had saved up and pursued a different business opportunity at home to make the significant other happier,,, single now, and, although I came here planning on going company, I just decided after looking at their program to go for it. It's not a dis on advice given by people here, I received a lot of great advice that I've used here, and I did consider the advice about leasing, but self employment is just kind of ingrained in me after all these years and is my preference. Michael, you already know how we think it's incredibly foolish to start your trucking career as a lease operator. I'm not going to keep gnawing at that bone, but I just have never understood how you guys who love all the advice we give in here seem to think we don't know what we're talking about when we advise you not to lease a truck. Could you address that for me? Could you explain the lure? It can't be the money - one of Prime's lease drivers gave us the number for failed leases at Prime coming in around 75%! They went broke. So, what could possibly be pulling you into this snare? I seriously want to understand it. I'm going off to Roehl 'cause I need to train! We may not agree with your decision, however it was yours to make. Please stick around and keep us updated on how things go for you. Absolutely, I wouldnt be where I'm at without the great advise, help, and encouragement from the awesome people here! Well hello all, I'm still alive and kicking, but terrible about updating this. Mostly due to running hard, 30K miles in the bag, headed back to Sprimo as I type to start upgrade process Saturday morning!!! Its definitely been an adventure.Exited to get out on my own. I know many of you will disagree with my decision, but after thoroughly considering all facets between company and lease op, I have for a variety of reasons decided to go lease op. Prime Running Low on Trucks? Thanks for the Reply Rainy! Just curious as i will start the next book (finished with the last one..:) ) of my life on Mar 11th and was wondering if this is something i should expect towards the end of my training. I know I'm counting my chickens before they hatch , but one cant help but wonder. Just finished (3/3/19) 40 K mile ,90 day,4 trainer, TNT training with Prime. Took 1 week off and ready to return 3/12/19, called to see about returning to finish upgrading. Was told NO TRUCKS available now, call back this coming Thursday 3/14/19 to see if trucks will be available the following week. This will cause me to wait another week, without pay, before I can possibly get a truck. I feel like a corporation as large as Prime, should have anticipated my completion of training and have a truck ready to go. I have done everything asked of me and now I have to wait further to finally start my trucking career. Just curious, why did you have 4 trainers? First day of TNT went well, left icy Sprimo this morning and sitting in Denton TX for the night, only 280 miles to do to the 90 in Houston by Monday morning. Nice to have an easy run for the first one, but hope the miles rack up quick after this. Didn't realize this is the same Michael S who is writing "Let the process begins". I am following yours and Britton's Diaries. Congratulations for that awesome Trifecta. Thanks, you'll nail it too! Allright! Welcome aboard primate! And a sucker for flatbeddin too. Awesome! 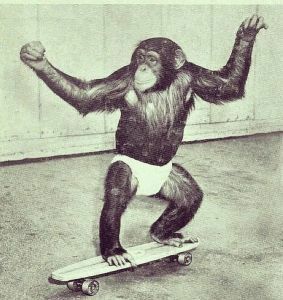 I just tested out at prime yesterday, for the pretrip here, both front and rear are your spring hanger mounts or just spring mount and make sure to say, "my spring mounts both front and rear are properly mounted and secure, not cracked bent or broken, and no missing mounting bolts"
Alright, another knuckle dragging skateboarding Primate in the works!😁 great wishes on your journey! What CDL training company does not use hair follicle testing? Federal regulation BS 101, that's funny right there! Thanks guys and gals, and heres the funny part, that verbal pti test I was so worried about, 89 out of 90, just 1 thing shy of a perfect score, forgot to do the windshield wipers on my in cab! 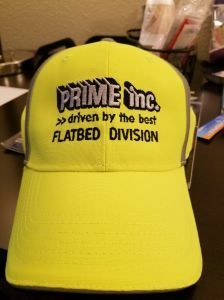 Things be happening fast, met my TNT trainer last night, a new female trainer and I will be her first student, trifecta'd today, Class A CDL in hand, got all the onboarding paperwork done, and I am officially an employee of Prime! And got the free hat to prove it! My trainers truck will be in the shop for a bit tomorrow afternoon, so most likely hitting the road tomorrow evening!